The son of Juhayman al-Otaybi, an extremist who seized Makkah and the Grand Mosque in 1979, has been given a promotion in Saudi Arabia’s National Guards. 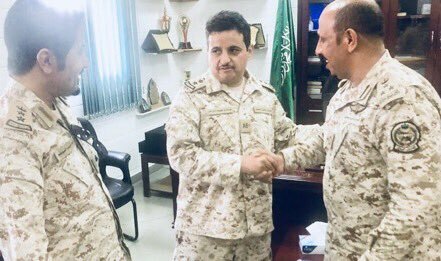 According to Al Arabiya, Hathal bin Juhayman al-Otaybi was recently promoted to the position of colonel in National Guards. His father, Juhyman al-Otaybi, along with over 250 men attacked Makkah’s grand mosque on November 20, 1979. Hundreds were killed in the attack which lasted for two weeks. Hathal was only one-year-old when his father attacked Makkah.